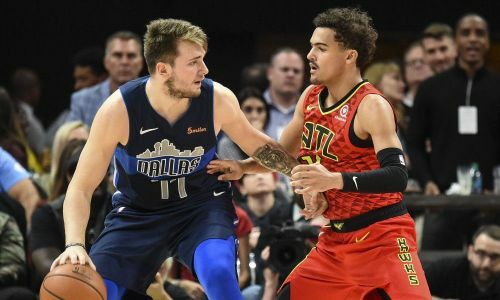 Doncic and Young were swapped on the NBA Draft day. Outlined with future stars like Ben Simmons, Donovan Mitchell, Dennis Smith Jr, Kyle Kuzma, Jason Tatum, last year's draft class was considered the best ever in a very long time. Unfortunately, many of the above mentioned haven't been able to carry over their heroics into the sophomore year, resulting in space for another batch of fresh young talent to prosper. The 2018 draft class has not disappointed, to say the least. Although there have been talents which didn't meet the exact expectations	of the offseason, a few have ended up exceeding all limits. Having been put under the brightest spotlight at such an early age is not everyone's cup of tea, but the NBA teenagers don't cease to amaze us with every passing year. To provide a mild perspective before diving into the standings on the how the rookie landscape has turned out, Trae Young, Jaren Jackson Jr., Luka Doncic, Marvin Bagley III and DeAndre Ayton(fifth to first) were the top five picks of the latest NBA draft. Now that we're done with more than half the season, let's take a look at where the youngsters stand amongst themselves, in terms of points scored per game this year so far. Jaren Jackson Jr. is currently out with a quad injury and is on day-to-day. 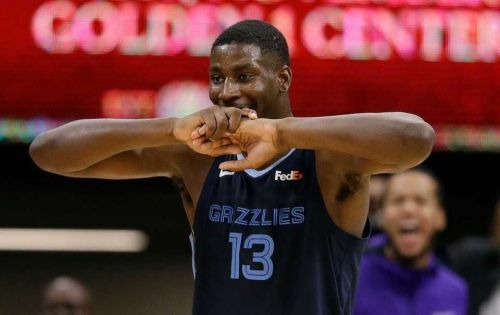 At just 18 years old when drafted fourth overall by the Grizzlies, Jackson's 3-and-D style is what makes him a fit for modern-day NBA basketball. His lone season at Michigan - in which he was named Big Ten's defensive player of the year - was strong enough for him to be drafted top 5 in the NBA. He averaged almost 15 ppg (along with an emphatic 2.4 blocks per game) in the month of November, but has since cooled off a bit on the offensive end. Across the 52 games he has played for Memphis this season, he has started in 50 of them, and is averaging an impressive 13.4 ppg in just around 26 minutes of playtime. Although the Grizzlies are the second worst team in their Conference right now, JJ's abilities to space the floor with his shooting, as well as his headstrong rim-protection, has not gone unnoticed in the league ever since the season kicked off.